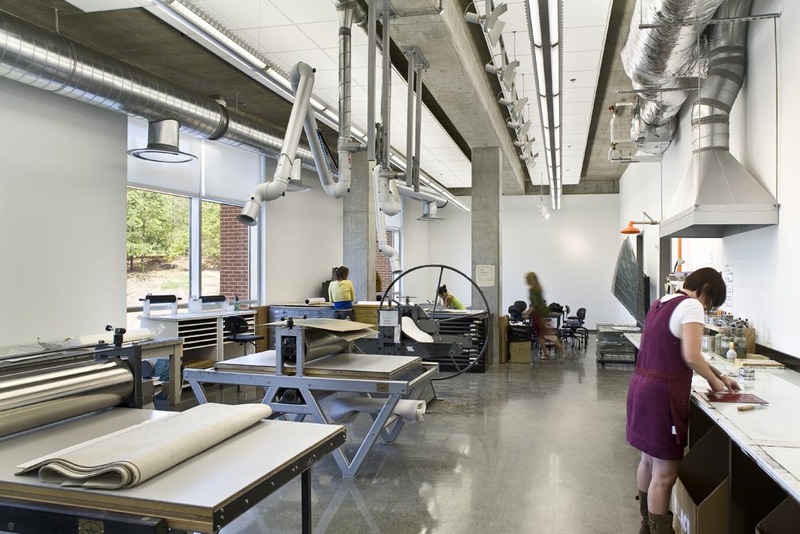 This $36.5 million School of Art consolidated 13 departments that were scattered throughout campus. 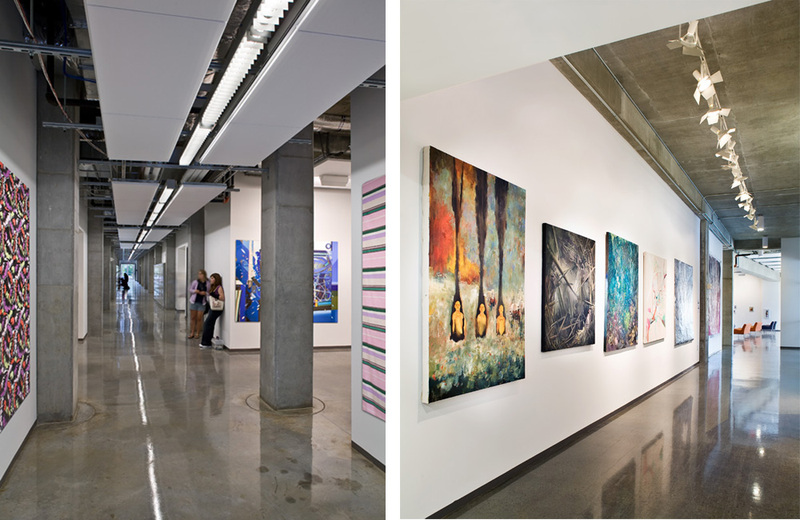 The 3 story, 216,577 GSF building provides an art community where shared resources encourage cross- pollinization and cooperation among the departments. 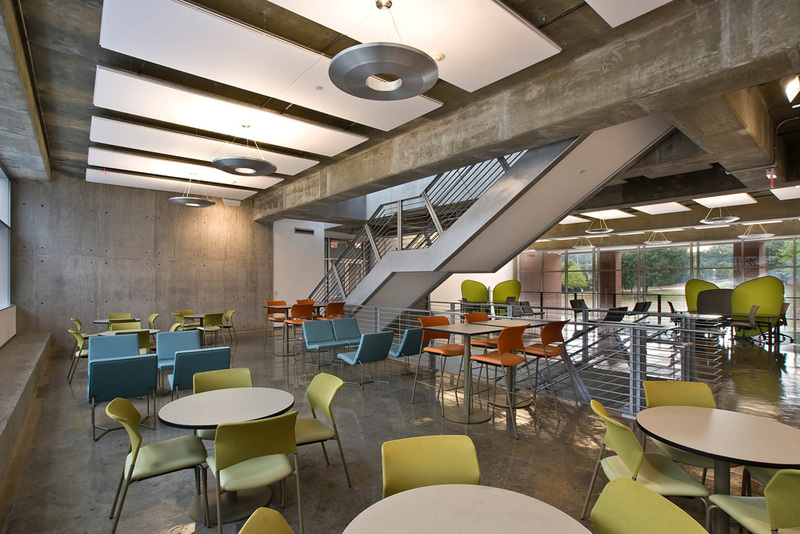 Varied spaces include classrooms, studios, faculty offices, and lecture halls. 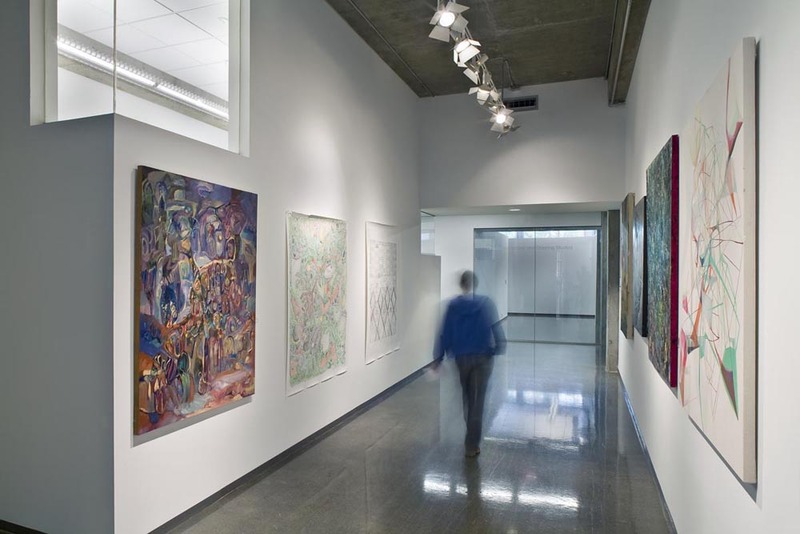 Principles of sustainable design were logically aligned with art-making processes within the constraints of a severely limited budget (only about $200.00 per square foot). 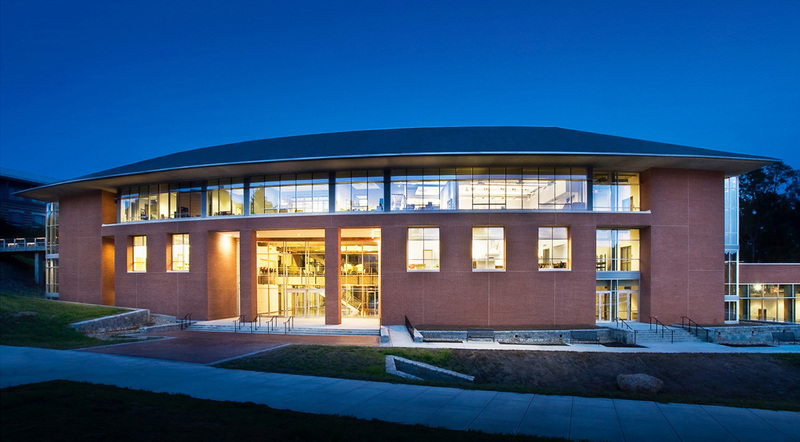 The University embarked on an innovative storm water management program including rain gardens to eliminate the need for extensive underground piping and expose sustainable strategies. The fundamental diagram optimizes north / south exposures to maximize day lighting opportunities. 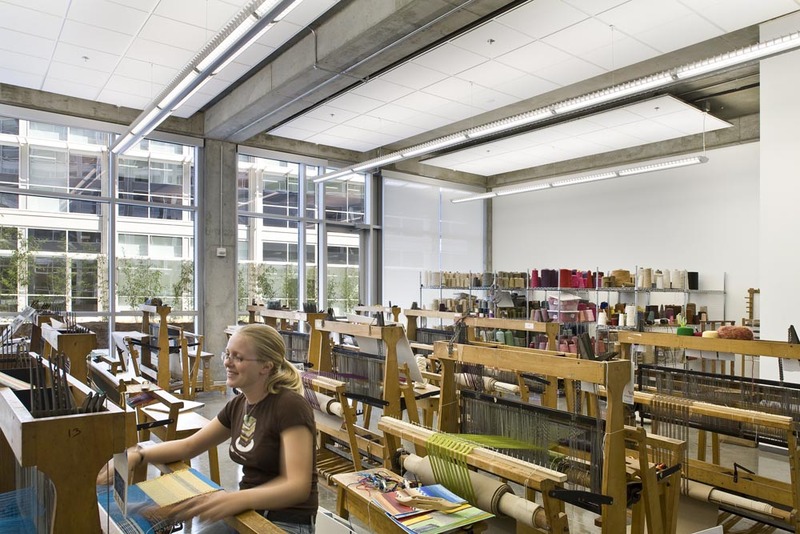 South-facing Solar Control Devices include both sunshades and light shelves for daylight harvesting. 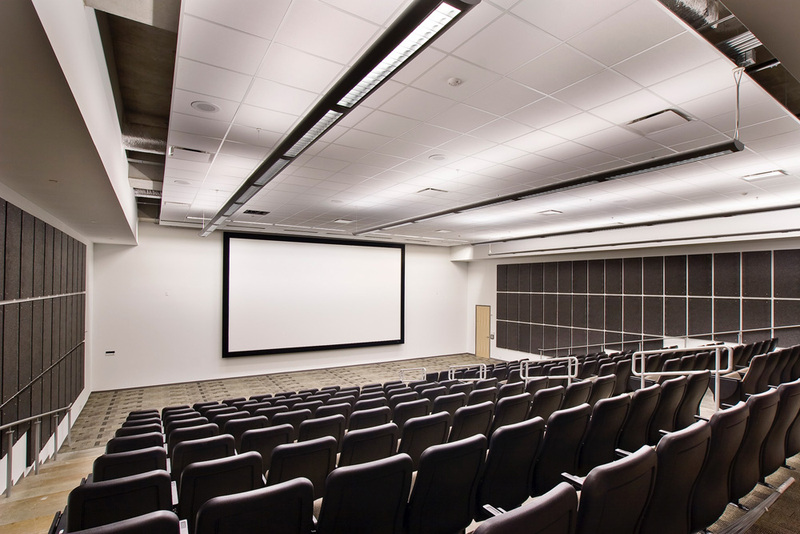 Occupancy sensors control lighting systems and 30,000 sf of ceiling materials were eliminated by floating ceiling clouds only where required for light reflectance and sound absorption. 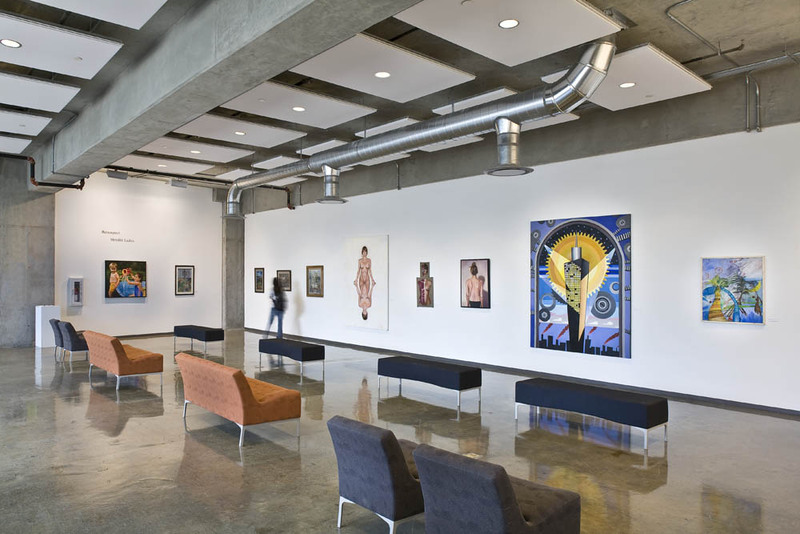 Mechanical systems include energy recovery units with a four-year payback period to provide fresh air and capture the embedded energy in the extensive exhaust air required for art-making processes.